The best agencies for models in Stockholm, the reliable partner for high quality photo-productions – you organize changeable models for advertising campaigns, shoots and shops. Agencies attach importance to ambition and punctuality. The industry needs new ideas . These agencies guarantee strong photo shoots, from fashion worlds to projects in Stockholm, London, New York and many more. Young talents can adapt flexibly to different challenges! From the catwalk flash of a fashion show to the shoot for international fashion houses to the commercial. Flexible solutions are our standard. They motivate teams and photographers to present perfect results. Details may not be omitted on the booking day. Each part must be accurate so you can be sure that you as a company achieve your desired result! If you like to become a model in Norway, you should take a look at Stockholm (Sweden) and London (UK). Heartbreak Management is an agency with lots of experiences. It´s one of the leading agencies in Scandinavia. Next to the office in Oslo they have one in Copenhagen. This agency works with great models, talents and social media stars. They all have the possibility to start a big career. 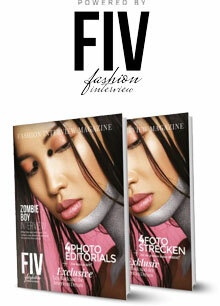 TFM Models is one of the most successful agencies in Scandinavia. They work with famous labels, brands and clients together. Lots of their models are already seen at covers from magazines like Elle, Harper´s Bazaar or LÓfficiel. Also, they had amazing campaigns with Prada, Guess and Dolce & Gabbana.